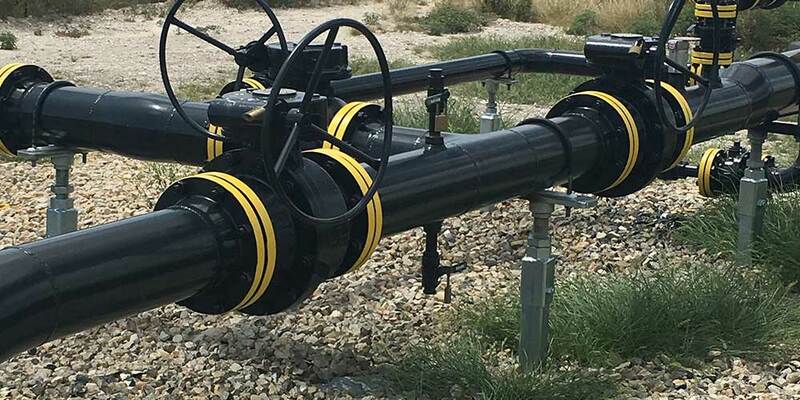 HELI-PILE® has introduced a truly innovative and fully adjustable pipe support. Our engineering team designed and built a new pipe support with the capability of height adjustment without movement of the top plate. This feature allows for adjustment even with the pipe secured in place. For large diameter piping or existing piping, a dual pile/bridge beam pipe support system can be utilized. This system offers flexibility in pile location and height adjustment. 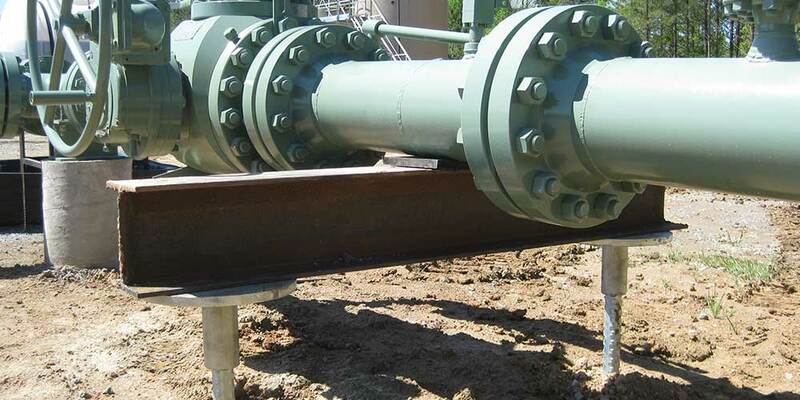 The dual pile pipe support system can be customized for any pipe size or limited access areas.